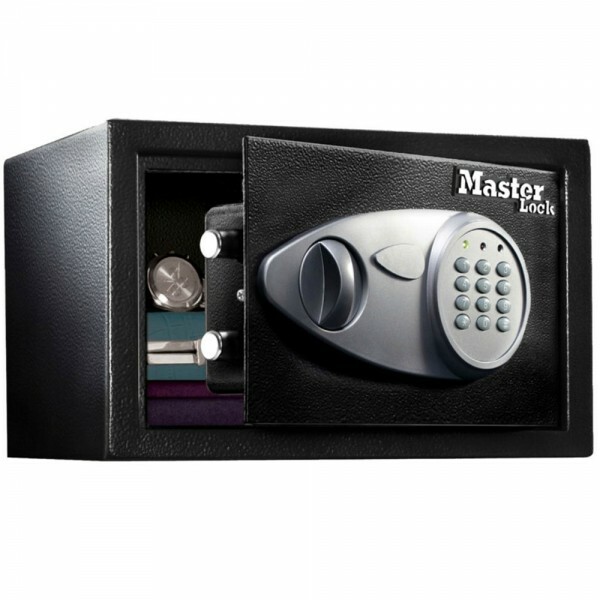 The Master Lock X055 security safe is ideal for protecting precious valuables and electronics. It is fitted with a programmable electronic lock allows you to chose your combination while the override key makes sure you can always access to your safe, even in the case of forgotten combination. The carpeted floor keeps the content protected from scratching during storage. The Master Lock X055 security safe is secured by 2 steel live-locking bolts and concealed hinge for more protection against attacks. It is supplied with bolts for wall or base fixing and has a recommended cash rating of £1,000.